Many things are pricked, punctured or popped in Pricked, the current program at Boston Ballet (through this weekend only) - but the ballet's own reputation isn't one of them. Indeed, if there was any question as to our choreographic home team's current prowess, Pricked should lay them to rest. The evening opens with a technical gauntlet - Harald Lander's Études (above) which works its way up from exercises at the barre to ever-more-demanding variations that grow almost punishing before their spectacular close. I've been raving for a year about the new level of technique in the company's corps, and Études is almost the perfect showcase for those skills (although it gives the ballet's stars quite a workout as well). But there's more to the piece than just awesome tours and jetés; Études is not merely a valentine to technique, but also a kaleidoscope of historical styles; here the classical rubs glittering shoulders with the romantic (and as Lander is Danish, there's more than a smattering of Bournonville's suppleness in the mix). 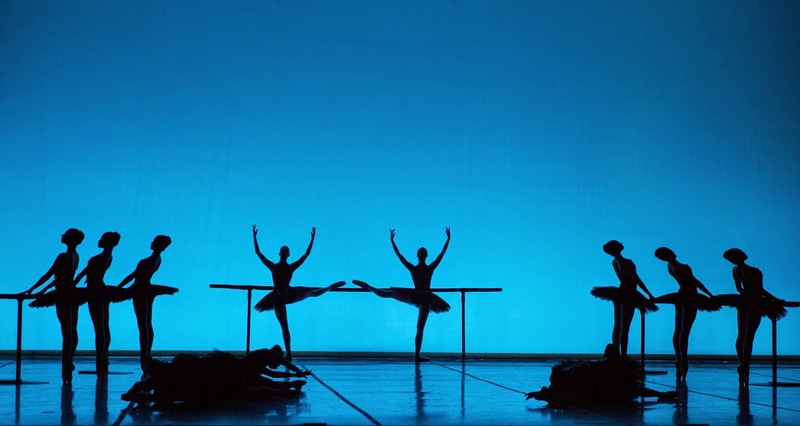 Artistic Director Mikko Nissinen has often said his goal has been to produce a company that can dance the entire ballet tradition, and Études provided undeniable proof of his success. Needless to say, the corps was everywhere dazzling, and the superb Misa Kuranaga presided over their efforts with effortless charm (although I noticed it was newcomer Seo Hye Han who welcomed us to the piece with a humble plié). The three male soloists most wowed the crowd, however - an elegant John Lam was the perfect squire to Kuranaga, while Isaac Akiba and Jeffrey Cirio both dazzled in a competitive face-off of leaps and jumps. At the finish, everyone looked exhausted, frankly - but as happy as the cheering audience. The program leapt then from past to present, with two fresh offerings from the leading edge of European dance. First was Petr Zuska's D.M.J. 1953-1977, a mordant curiosity from 2004. Zuska clearly has it mind to haul the doomed trysts of classics like Giselle into the millennium - and then give them a postmodern spin. So in D.M.J. 1953-1977 (the title derives from the initials of his chosen composers, Dvorák, Martinů, and Janácek, with dates from the grave of an anonymous young woman) the choreographer switches the gender roles of ballet tradition: in his modern couple, it's the male who is yearningly smitten, and his beloved who holds back - seemingly because of some internal block rather than the external social forces of old. Thus as the hero pines, the heroine struggles; and his constant pursuit proves fruitless. A single rose leaves her pensive, while a shower of them lays her out flat - even though she and her swain are surrounded by a happy crowd of fulsome couples acting out courtship rituals in unison, like clockwork. Which may be why their bliss seems mechanical and clumsy - and it doesn't help that they're dressed in the kind of track suits you might wear to the prom. So perhaps the heroine of D.M.J. is driven, like so many young people, by a crippling desire for the authentic, along with self-conscious doubts as to whether she can trust what is happening to her as indeed the "real thing." Still, maidens have always been advised to gather their rosebuds while they may, and soon dark monoliths are looming over the action like headstones; in the final image, they're been arranged in what might be a sepulchre - only we're surprised to discover it's the male half of this couple who has perished, while his beloved now mourns, a lonely monument twisted into a physical pretzel that precisely mirrors her mental state. It's a subtle scenario, that's certain - the trouble is that Zuska doesn't quite nail a climax; nor does he precisely limn the psychological sources of his doomed couple's travails; hence the dance is dogged by a certain sense of vagueness despite some bald symbology. Still, the corps was once again wonderful in its klutziness, and Lia Cirio threw herself into a gripping portrayal of the tormented heroine - while Lasha Khozashvili made you believe completely in the doomed heartbreak of her suitor. In the end, the dance served as a haunting introduction to this intriguing choreographer. Lia Cirio ponders the thorny side of love in D.M.J. 1953-1977. The romantic blues were banished, however, by the final performance of the evening - the hilariously pointed Cacti, from rising star Alexander Ekman, which gave the corps its most brilliant showcase yet, and bemusedly set the avant-garde oeuvre of Jiří Kylián (a darling at the Ballet, btw) in its satiric sights. I actually don't want to tell you too much about Cacti, because half the fun of seeing it is getting the joke as it unfolds. Suffice to say that we seem to be backstage at some Kylián-esque extravaganza (the checkerboard set clearly refs the master's lighting designs), with the choreographer himself whispering deep thoughts over the intercom: "With the intricacy of ants, the artists construct their symbolic sculpture . . . blah blah blah . . . for they are all members of the great human orchestra!" Uh-huh; tell that to the roadies, who pop up from the checkerboard with their best poker faces in place, and proceed to do a hilarious tap dance all over the pretensions of the piece. Next comes a deranged solo straight out of William Forsythe, and then we're plunked into a rehearsal with two air-headed stars trying to find their way through this symbolic sculpture, as members of the great human orchestra, of course . . . There's no better sign of artistic confidence, I think, than the willingness to take (or tell) a joke at your own expense - so Cacti probably counts as evidence of superpowers. All I know is it's the funniest thing I've seen onstage in years - I just couldn't stop laughing. And believe it or not, sharp as it is, Cacti also offers a kind of olive branch to the world of pop. If you've ever thought that modern ballet was a bit full of itself, or a little hard to take - well, my friend, this is your dance. As for me, I'm still deeply pondering this symbolic sculpture. Like, dude - why the cacti . .?